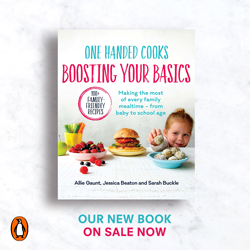 For more inspiration check out our Foodie eBooks or bestselling books ‘Raising a healthy, happy eater‘ and ‘Boosting your basics‘ which both have dedicated Tasting Plate chapters for fussy toddlers. 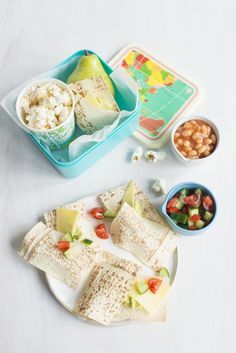 When it comes to feeding your child, one of the most important things you can do is to offer a wide variety of nutritious food to choose from. The problem is, that babies and toddlers are often more interested in exploring the world and making a mess than sitting down to a large meal. So, when every bite counts The Tasting Plate provides a practical and simple way to offer food, while ensuring a natural progression to family foods and forming good food habits for life. Research has shown that food preferences are established early in life. 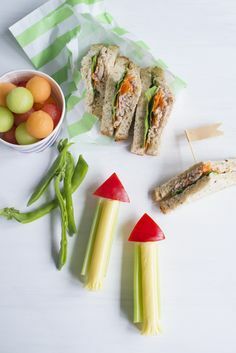 So, developing positive food associations with your children right from the start is the best way to save hours of mealtime battles and stress. More importantly, encouraging your children to develop a happy and healthy relationship with food can make a huge difference to their mood, growth, development, lifestyle and future wellbeing. Finger foods can be incorporated into your baby’s food routine as early as you wish – usually around 7 months of age. The tasting plate will progress with your baby until you have reached the stage where he is eating the same meals or at least a deconstructed version of the meals that you are eating. Partake in a child’s first aid course so you feel more confident in the unlikely event choking does occur. The plates look fantastic! One question – where can I buy the plates? Im keen to introduce this to my 7 month old, is there a list of age appropriate ideas somewhere? Ive founf some on your website….but for toddlers. We have just published an article about the importance of finger foods in the current issue of our magazine (Winter Warmers/Issue #3). With respect to age appropriate ideas and recommendations we can only suggest ideas of a general nature (see below) rather than specifically for your 7 month old. If you require individualised advice please consult your health care professional. Note: the current Infant Feeding Guidelines recommend foods with a high risk of choking such as whole nuts, seeds, raw carrot, celery sticks and chunks of apple should be avoided for the first 3 years as their size and/or consistency increases the risk of choking. It is also advisable to always supervise your children while they are eating to prevent choking. My 12 month old has become VERY fussy in the last month. We have tried everything from tasting plates, passing food off ours, food on the high chair tray, to even offering bread for dinner and we have had no success. How long do you perservere for and when do you stop offering the food they ‘should’ eat for dinner to moving on to what they do eat so they don’t go hungry?